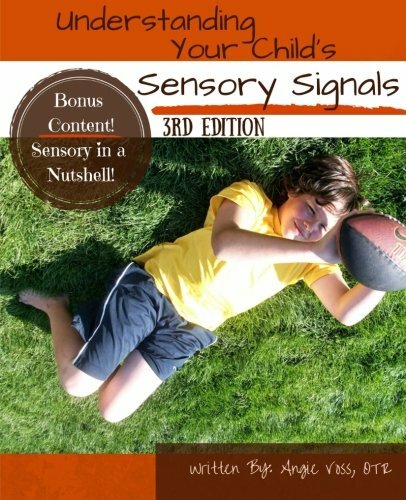 Inside: A book review of Understanding Your Child’s Sensory Signals by Angie Voss. This book review is based on the 2nd edition of the book. There is now an expanded 3rd edition available. I’m always looking for more resources to share with parents, and I was pleased when she sent me a copy of Understanding Your Child's Sensory Signals* to review because after reading it, I knew this would be another fantastic book to add to my resources for families. For every sensory signal listed, she gives a sensory explanation for the behaviors and ideas to try. She recommends several ideas, including providing a squish box or a sensory retreat or a body sock. The recommendations she gives are practical and are easy to understand, especially since you can go back and use the website to get more information. If your student or child is struggling with sensory issues, and you’re not sure where to start, I’d recommend getting this book. Just by looking through the list of sensory signals, and reading the ideas, you can get some great ideas to help your child cope with their feelings and self-regulate. Read this book and visit the website and let me know what you think! *This review is based on the 2nd edition of the book. There is now a 3rd edition available. If you’re looking for the items Angie mentions, or want to get some other items to help kids with sensory issues, check out funandfunction.com. They have so many great products! Choose from Dozens of Patterns for your Custom Cotton Mosaic Weighted Blanket!